This week I had enough time to play around with an addon I made some time ago. JSONDiff is an addon to easily compare JSON documents, and its source code can be found on GitHub. The latest version was based on JPM, so I decided to port it to WebExtension. Good for me, the addon is an easy one, it only relied on the tab API from the SDK. Thus, its porting from JPM to WebExtension was utterly painless. Mozilla has done a great job in improving both its code and the documentation. I am particularly happy with the WebExtension documentation that is now quite comprehensive. The perfect entry point is this guide on how to get started with WebExtension or the walkthrough of your first addon. Of course, the next step is to go through the API documentation. If you are lucky, like in my case, all the JPM APIs your addon uses are available in WebExtension as well. You just need to adapt your code to the new ones and that will be all. In my case, I only have to adopt the tabs APIs. Mozilla offers a command line tool to help people to build, run and test WebExtension addons. The web-ext cli can be easily installed through npm. Make sure to follow the instructions on https://github.com/mozilla/web-ext and read the documentation. I like this tool very much cause it helps you to try your addon for different versions of Firefox, even Firefox Android. Unfortunately, running tests with this tool is a matter of open discussion at the time of writing this article. For my addon, I chose to employ at least unit testing. At the time, I chose to rely on the JPM cli to run the tests but there is no equivalent in the web-ext cli. Get familiar with these tools if you really want to properly understand how to do testing in JS. NOTE: I used Chai to achieve objects deep comparison. If the configuration is ok, you can run your tests with the command npm test. Take a look at the JSONDiff repository for a complete example and CI (Travis) integration. A couple of weeks ago, my laptop, a 4 years old ultrabook, stopped working because of a bus problem. Instead of asking the manufacturer to fix it, I took the decision of buying a new laptop. At the end of some research (and some misadventures with another manufacter) , I opted for a HP Spectre x360 4110nl. It is a gorgeous machine. First things, first. 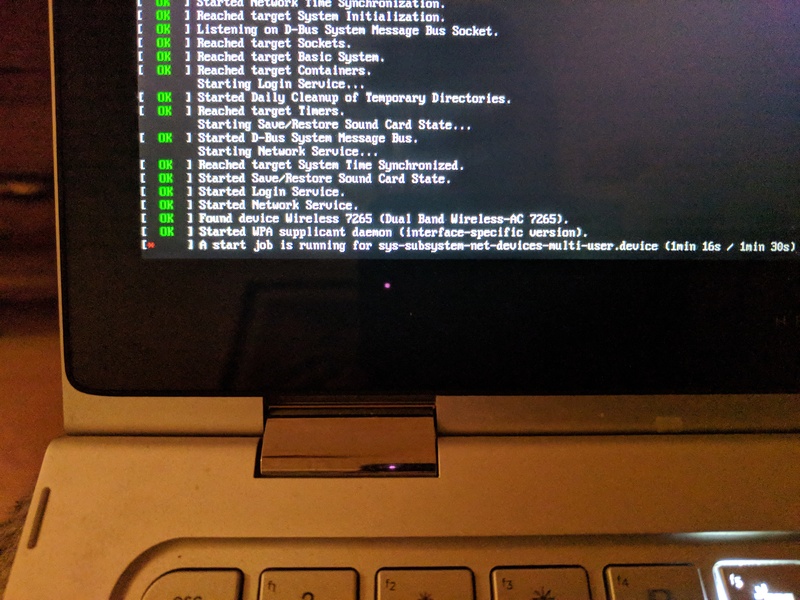 I disabled the safe boot and booted the Gentoo Live DVD. Everything was working out of the box, even the touchscreen. So I installed it from stage3, but I did not compiled my own kernel. Instead, I used genkernel. It was my first time with genkernel, I usually compile it manually. Touchpad SynPS/2 Synaptics TouchPad Working ? TouchScreen ELAN Working, see tweaks ? Card Reader ? Unknown ? Function/Multimedia Keys – Working ? Worked out of the box. Just remember to add the wpa_supplicant service to rc. To enable to touchscreen I needed to re-compile the kernel with CONFIG_HID_MULTITOUCH. In this article we will see how we can use a CI infrastructure like Travis in our add-on development process. Before you proceed you should get familiar with how Travis work. You can find the relevant documentation here. Before we can run our script for testing, we need to setup Firefox. We will use the before_script section to download and install Firefox. We will use npm. Unfortunately we need something more. We need to specify the path of the Firefox binary. The before_script will install the necessary tool to download Firefox, it will install it and set the ENV variable JPM_FIREFOX_BINARY to the right path. I hope this can be useful, please feel free to contribute. More post about add-on development are coming. Stay tuned. Developing add-on for Mozilla is quite easy but testing every single changes made to the code can became tedious. The idea is to automate the packaging and the installation of the add-on at every change it’s made. Firstly, we need to know a little more about the Mozilla add-on SDK and its tool. – watchpost: It create a new xpi everytime a change is made to the add-on files and post the fresh xpi to a specified URL. More details can be found on Mozilla jpm page. FUrther, thanks to Wladimir Palant, we can use an add-on that can help us to simplify this process. It allows you to install/update an add-on by command line, using web-socket. Download and install this add-on, you can find more information about the configuration here. Now that we have a convenient way of installing/upgrading an add-on, we can take advantage of the jpm `watchpost` command. Next part will be about CI in add-on development using travis and github.